Two Manchester men who pretended to import Christmas snowmen in a plot to smuggle nine million cigarettes into the UK, have been jailed. The cigarettes had a potential tax loss of over £1.4 million. William Crewe (65) of Salford, and John Dent (62) of Middleton, both pleaded guilty to their involvement following a criminal investigation by HM Revenue & Customs (HMRC). “Officers examined a freight container at the docks described on importation paperwork as ‘poly resin snowmen’ en route to Middleton. However, inside there were no festive snowmen just millions of illegal cigarettes. 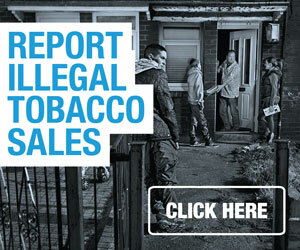 By evading tobacco duty, this scam not only deprived the UK of public funds, but also undercut legitimate retailers. Often perceived as a victimless crime, the illegal tobacco trade is linked to a wide range of other criminal activities that directly affect local communities. 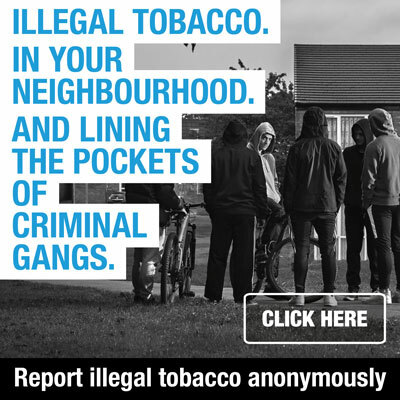 As well as avoiding tax, smugglers also help make it easier for children to smoke and attract more organised criminals into local neighbourhoods. In his summing up His Honour Judge Steiger said he had taken into account the men’s ages and ill health but that due to the serious circumstances and previous convictions for cigarette smuggling he had to give a custodial sentence. After their arrest, the pair were sentenced at Manchester Crown Court. Dent was jailed for 22 months and Crewe was jailed for 17 months. Confiscation of the men’s assets under the Proceeds of Crime Act is being sought, with a confiscation hearing to be held later this year.